The following people are all Wardens of Midlands Cave Rescue Organisation (MCRO). 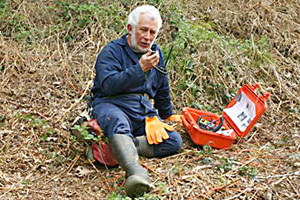 It is the Wardens who would be contacted by the police in the event of a rescue. Should you require any further information about MCRO or feel you would like to support us with a donation, please email the secretary: secretary"at"midlandscaverescue.org.uk (replace the "at" with @) or contact anyone below.